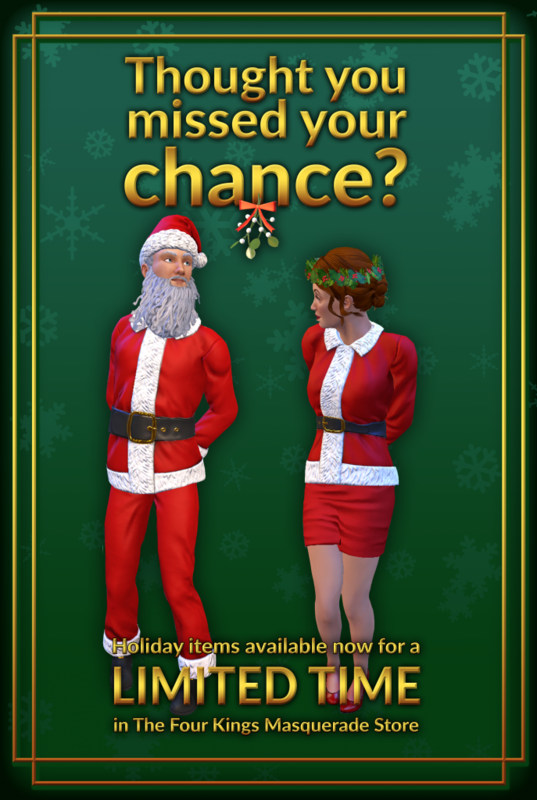 Holiday Items Available Now for a Limited Time! It’s never to late to get yourself another holiday gift! Head over to the Masquerade Store and pick up all 12 of our Four Kings-mas Items. These items are only available for a limited time, so complete your collection today!